Merging your process and content can transform your organization—putting you that much closer to achieving digital transformation. From making your content generally more useful for customers and employees to having your business run more efficiently, this e-book will uncover practical tips and insights on how to successfully digitize and automate your business. 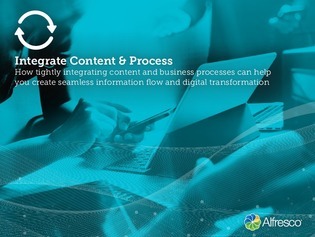 Read on to learn how tightly integrating content and business processes can help you create seamless information flow and digital transformation. Also inside: Q&A on lessons learned in Information Management from a Certified Information Professional (CIP), George Parapadakis.